We feature a high quality, high fashion selection of eyeglasses in Copperas Cove and Killeen. 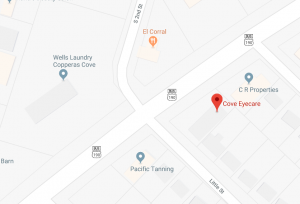 Located conveniently in Copperas Cove, our optical store has serv ed the greater region of central Texas with exceptional vision for over 20 years! Please bring your current vision prescription and our friendly opticians will help you choose the perfect pair of designer frames to express yourself and help you see the world clearly! Crisp vision and a stunning look are what you need from your Killeen eyewear. However, with so many options on the market, it can be challenging to find what you’re looking for. We know the ins and outs of every pair of eyeglasses in our optical collection, and we’ll advise you on the best frames to meet your unique requirements. Choose from colorful plastics, understated rimless, sleek titanium, wood inlays and other premium materials. If you’re interested in adding a bit of glam to your frames, we offer a variety of artistic embellishments. Our eyeglasses in Killeen represent the best American and European designers. Prescription lenses are available in a range of types, with optional coating and treatments, such as scratch-resistant coatings, shatterproof materials and UV protection. We offer photochromic lenses, bifocals, multifocal progressive lenses, and high-index lenses that are thinner than ever. Just like all the modern frames, eyeglass lenses for your Killeen eyewear have come a long way from the thick, bulky eyewear of yesteryear! Eyeglasses are a fantastic way to complete any outfit, so why limit yourself to only one pair? Pick up a few pairs of glasses and enjoy the versatility of changing them with your clothes! We encourage you to take your time when selecting new eyewear. 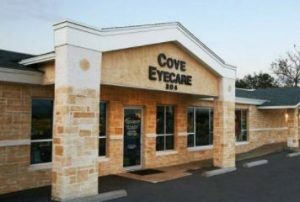 There’s no rush at Cove Eyecare, and we want you to be in love with your glasses and your superior customer experience!